I did an internship about 2 mouths in Toronto. So I realized that English is really easy to say my opinion. I think because of culture which language of English already has. 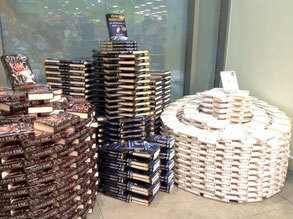 Anyway, these book arrangement are cool..